Dustin Johnson reacts to his eagle on the 12th hole during the second round of the Players Championship. 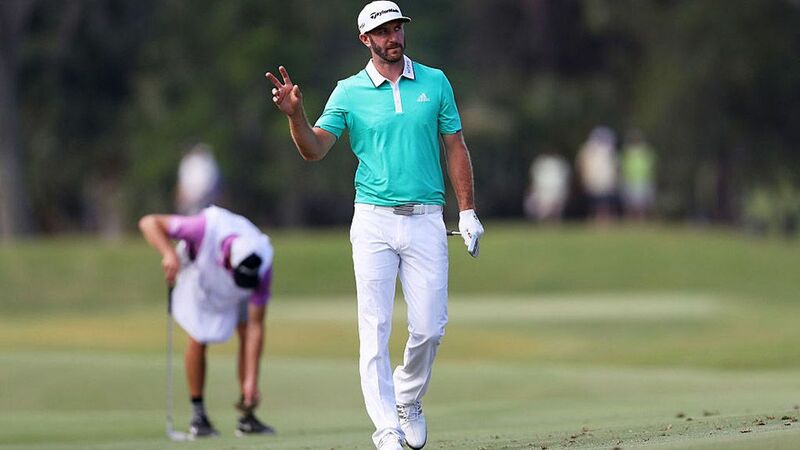 After accidentally dropping Dustin Johnson's ball into the water on TPC Sawgrass' infamous 17th hole during the Players on Friday, Johnson's caddie/brother Austin had no choice but to hop in after it. Austin took special care not to get the cast on his arm wet, although he didn't bother to take off his sneakers. The ball somehow fell into the water -- perhaps during the exchange behind Dustin and Austin -- before Dustin was going to putt. According to rule 16.1(b), if they didn't find the exact ball and retrieve it, it would have been a two-stroke penalty.